These pork chops are super easy to make, and are really yummy. These are the first pork chops I ever made, and are still one of our favorites. 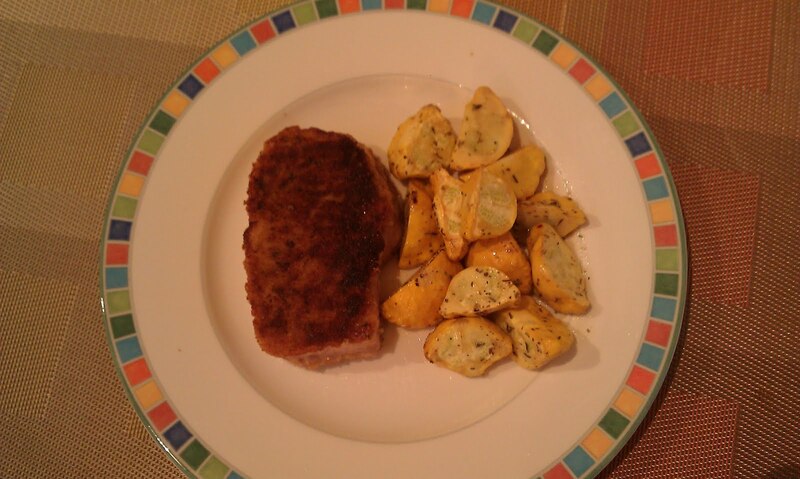 The pork chops come from Giada De Larentiis' Everyday Italian cookbook (one of my favorites), and the Roasted Squash is my recipe. Heat 2 tblsp olive oil in a large skillet. Generously season the pork chops with salt and pepper. Put bread crumbs, parmesan cheese, and beaten eggs in three separate bowls. Dip each pork chop into parmesan cheese, then egg, then bread crumbs, and then place in skillet. Cook pork chops for 7-8 minutes on each side. 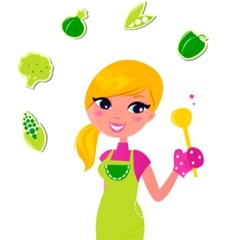 Squeeze a little lemon juice over each pork chop and serve. Preheat oven to 370F. Drizzle a little olive oil in the bottom of a medium size baking pan. Halve baby squash and put in pan. 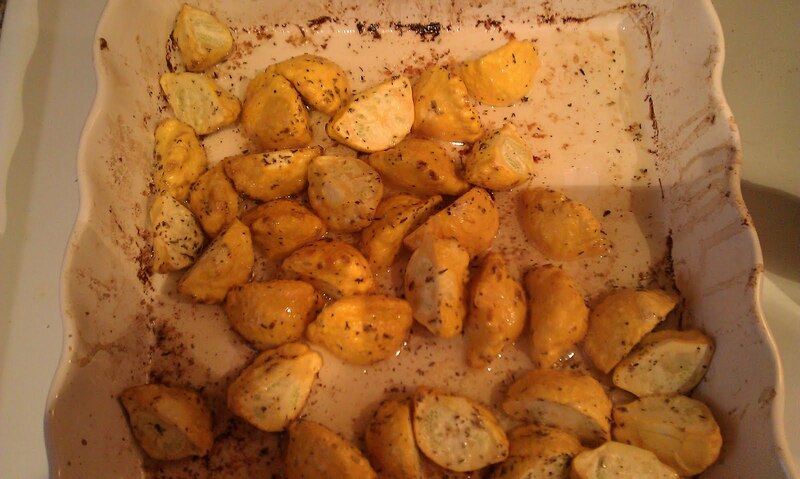 Pour melted butter over squash. Add herbs de provence and toss to coat. Add wine and cheese and toss to coat again. Roast for 30 minutes. Serve with pork chops and enjoy! Love this. I hope our son make this for us too. I had Pork Chop Milanese tonight for dinner! SO delicious, it’s such a great cut you’re right. I’m going to try your recipe next time.